Challenge Complete! Dewey's 24-Hour Readathon rocked along on Saturday, and I have survived! See below for a full recap. LOCATION: Barely out of bed, crashed on the couch under a blanket. COMMENTS: What have I gotten myself into? LOCATION: My book nook, corner of the couch by the shelf. BRIEF REVIEW: ⭐️⭐️⭐️⭐️ Love this play! We did scenes from it in college and I forgot how much it makes me smile. COMMENTS: This might be harder than I thought! I'm exhausted, but powering through. Stay tuned! LOCATION: Sprawled out on the couch, sideways. BRIEF REVIEW: ⭐️⭐️⭐️⭐️⭐️ Goodness, I love theatre. And I love Sarah Ruhl. And I love umbrellas on stage. And I want to read this book again and again. FEELING: Energized, inspired, and thankful. COMMENTS: There is something deeply satisfying about finishing a book of 100 essays at 10:01am. I really love theatre. Watching it, creating it, studying it, reading about it. This woke me right up! A favorite quote: I was as transfixed as I've ever been, remembering that theatre is at its roots some very brace people mutually consenting to a make-believe world, with nothing but language to rest on." Now to take a 2 hour break for a shower, breakfast, and Bible study. I'll be back! LOCATION: A sunny front porch. BRIEF REVIEW: 💖💖💖 We might not have followed the book, but be still my heart, I love these ladies. LISTENING TO: "Great Are You Lord" by All Sons and Daughters (feat. the lovely Jess) Praises. COMMENTS: Totally worth a break to spend time in the Word and fellowship with these ladies! Talking about identity and security in Jesus was WONDERFUL. LOCATION: Back in my own little corner, curled up on the couch. BRIEF REVIEW: ⭐️⭐️⭐️⭐️⭐️ Hands down, this is in my top five favorite plays. Maybe top three. I can't wait to be 80 years old and play Alice. And to direct it sometime before that 😉 Brilliant and moving. A fascinating read. FEELING: Whimsical, nostalgic, curious, contrariwise. COMMENTS: Now I want to add Peter and Wendy as well as Alice in Wonderland to today's list! I could hear Dame Judi Dench and Ben Wishaw's voices so clearly in my mind reading this, and Big Fish was perfectly magical to listen to. But this marks the last of the theatre texts. Onto the fiction choices! LOCATION: Slumped on the other side of the couch. BRIEF REVIEW: ⭐️⭐️ Eh, not bad but not a winner. Reviews said it was The Fault in Our Stars but the guy's perspective. Truth be told, I liked TFIOS better and bought the book because the cover was pretty. FEELING: Melancholy, hungry, ready for the next one. COMMENTS: I mean, it was alright. Not one I'd necessarily go to again, but I'll keep it cause the cover's pretty. 😁 Pretty simple, straight forward, fifteen year olds sorting out life, love, and leukemia. Again, TFIOS was better and I sobbed though that entire book/movie. It's gonna be a looooong night y'all, but I'm really looking forward to the next books! LOCATION: Standing in the kitchen. *Dad jokes we all eat standing up at the counter because he had to when he was a flight attendant and we just picked it up from him. Guilty as charged. BRIEF REVIEW: 💃💃💃 Because cupcakes always win. FEELING: Content... mostly. More cupcakes would be nice. LOCATION: Beneath the fuzziest red polka dotted blanket. BRIEF REVIEW: ⭐️⭐⭐️⭐️⭐️️ It was worth ALL the hype and the time it took to wade through the world of these characters! Gripping, propelling, intriguing, and beautiful. FEELING: Well pleased, intrigued, tired but dedicated. COMMENTS: This one was certainly spread out tonight, but I'm SO glad it kept me company! I had to work for several hours in the midst of it, then an hour ago I had the joy of calling the police on a disturbance outside my apartment... BUT all is well and the book is complete! Onward we go! So... I read until 3:30-3:45ish... and then I hit a wall. A MAJOR one. I decided to take a nap until 5:00am, but I slept right through until 7:00. Oops. LOCATION: Snuggled up in bed. STATUS UPDATE: We made it! I may not have read the full 24 hours, but I read just over half of the day away and THAT is a win! COMMENTS: I made it until 3:30am, then the day caught up to me. I crawled in bed for a "nap", planning to rise at 5:00 and read the last two hours, but my body said NOPE. 13+ hours of reading, 1400+ pages read, two plays, 100 essays, two and a half novels later, my first 24 hour readathon is complete! Now... back to sleep. Sooo.... WE MADE IT! I amy not have read all 24 hours but I made so much progress. I'm now HALFWAY to my 52 Books in 52 Weeks goal for 2016, AND the lovely Annie Wiltse and I are going to host our own 24 Hour Readathon this summer! Stay tuned for more details! Instagram @lovebaileyjean and on Periscope @baileyjrobert. 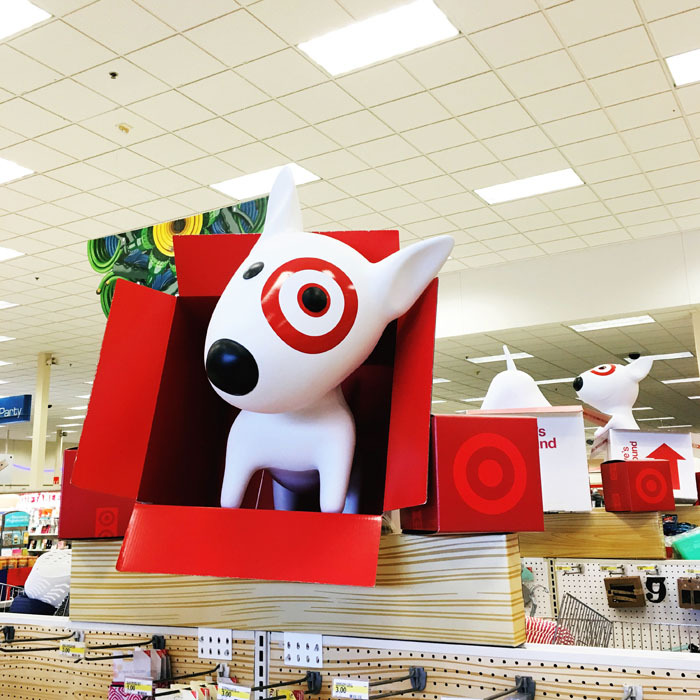 This post was originally titled "Dear Target, it's not you, it's me... mostly." However, I realized that was not true because it is ENTIRELY me. Why was I writing a break up letter to Target, you ask? Because sometime's a girl's gotta do what a girl's gotta do. But we'll get to that in a minute. You may know that I love a good challenge (and you may also know that I'm either a wild success at them or riding the struggle bus the whole way...), so naturally I signed up for three at one time ;) Putting the title CHALLENGE on a goal gives me the extra "umph" I often need to get things into gear, and I love being able to document them on Instagram with a hashtag to look back once completed. It's quite the sense of accomplishment! 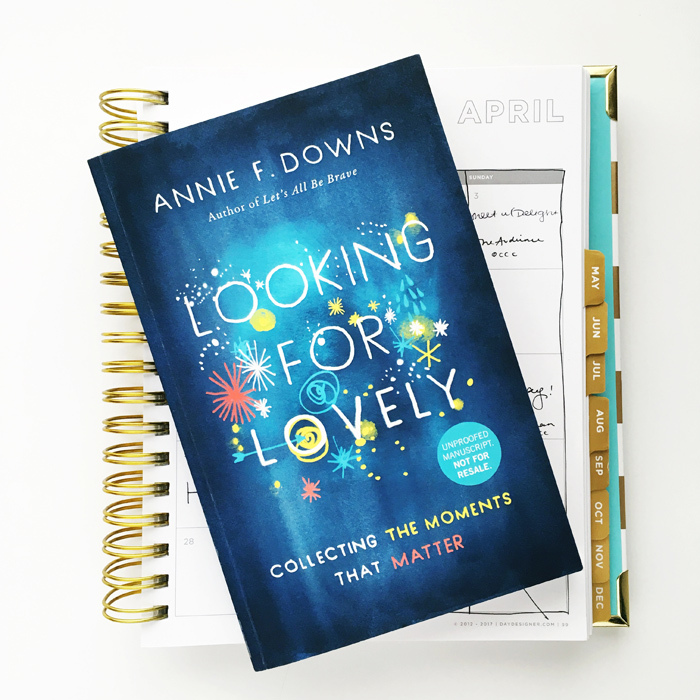 Today I'm sharing the THREE challenges I'm diving into this month. I started The Contentment Challenge for the fifth sixth soemthing-th time at the start of April, and it's been going pretty well so far! This is where the break-up letter to Target comes into play. Thankfully the closest Target is over an hour away, and my college town doesn't have too much to offer in the way of shopping. So long as I keep myself from driving into the city and splurging, I should be good. This time around I am following Nancy Ray's Contentment Challenge 12 Week Study. Partnering a desire to be more content with what I have --and to save money while doing it-- with a Biblical exploration of commitment is the element I have left out in every other failed challenge. 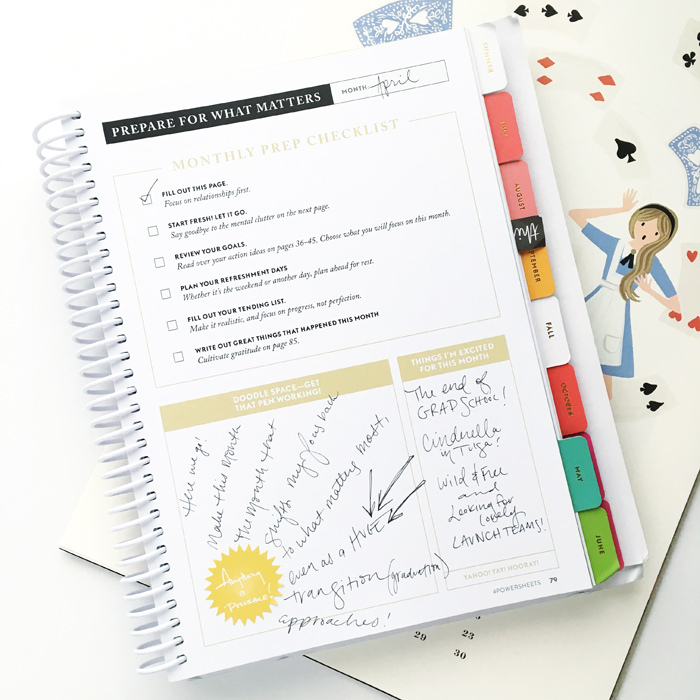 Pick up her study guide for a more in-depth look at the process or even her free starter booklet. I've included a brief outline below to get us going. I did this at the end of March (and maybe a little splurge spending... SEE?! I NEED HELP), and those purchases have been made. I've got the guide and a list of stores I'm literally not allowed to step foot into during the challenge. Working at Anthropologie this summer is going to be an added challenge, I already know. For this challenge I've decided to read Seven by Jen Haymaker, Living Well Spending Less by Ruth Soukup, and The Marshmallow Test by Walter Mischel. This is not a plug for gifts, but an allowance for honoring others even if it includes spending. I did send a couple of Greetabl boxes to some gal pals of mine, and Y'ALL. Spending on others feels so much better than spending on yourself! One lesson is already being learned. The challenges shared below are part of my plan to replace window shopping --and inevitably over-shopping-- with another type of activity: reading and/or illustrating my faith! Are you in? Have you done The Contentment Challenge before? If so, I'd love to know what worked for you! The second challenge I am participating in begins TODAY! If you haven't read The Crossroads of Should and Must by Elle Luna, add it to your list ASAP! Elle is also hosting The 100 Day Project, and I'm excited to jump in! She shared all the details on Instagram, but I've also added them below. Choose your action (an action you will repeat for 100 days). Find a unique hashtag for your project like #100daysof... (This is very important! Choose your own so you can have all of your work under one hashtag. Announce your project on Instagram with your hashtag and share using #the100dayproject. Finally, start this project on Tuesday, April 19th, repeating your action UP TO & INCLUDING July 27, 2016. Voila! The 100 Day Project! This year I am getting into the Word and illustrating my faith. I'm so excited! Follow my Instagram @lovebaileyjean and my hashtag #100illustrateddays to see how things progress! I'm sure I'll share here and on Periscope along the way, too. Have you done The 100 Day Project before? Are you joining in this year?! Lastly, this is the most recent challenge I added to my list, and it is the one that will be completed first. This Saturday I am participating in Dewey's 24 Hour Readathon! 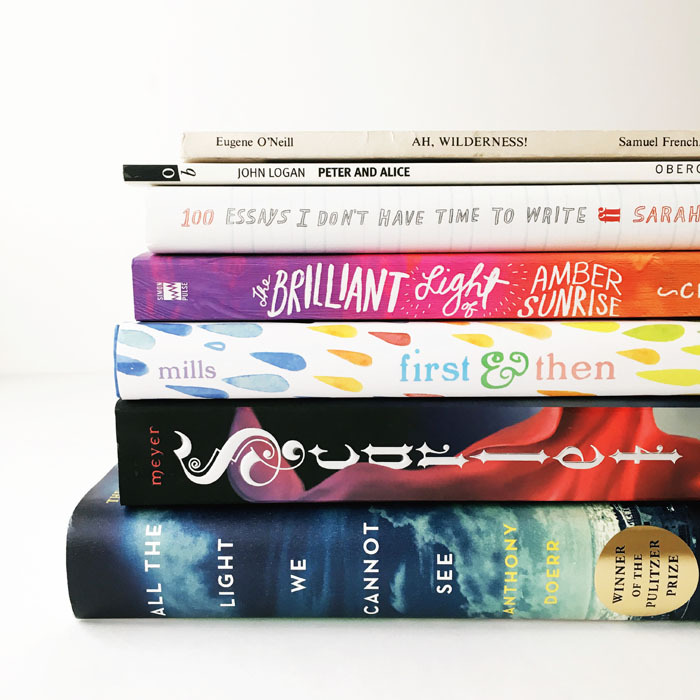 My to-be-read list is a mile long, and nothing quite fires me up like getting lost in a good book, so it should come as no surprise that my heart about pounded out of my chest when I saw that there was a 24-hour reading marathon this next weekend! Starting at 7:00am on Saturday, April 23, around 2,000 readers will start the day with their noses in a book, reading all the way until 7:00am Sunday morning, updating on Instagram, Twitter, and their blogs along the way. According to their blog, I'm going to be among The Casual Readathon-ers, those who start right on the dot but allow life to cut in a few times during the day. I've got a Bible study Saturday morning and I am house managing the musical Saturday night, but my plan is for those 3-4 hours to be the only break in my readathoning. I'm positively giddy with excitement! And I'm super nervous, which sounds silly. But mostly excited. I'll definitely be over-gramming about all the books on Saturday, and I plan to post here at Brave Love Blog once, updating it with time stamps and page counts along the way. There are going to be giveaways and challenges throughout the day, too. I'll be sure to keep you posted, and wish me luck. Yesterday I set aside my to-be-read pile for the challenge which includes four fiction selections, two plays, and a book of essays about life and theatre. I did not include any Christian living books because I like to work through those slowly with a pen and highlighter, savoring them along the way, whereas these I will be able to breeze through and still thoroughly enjoy them. 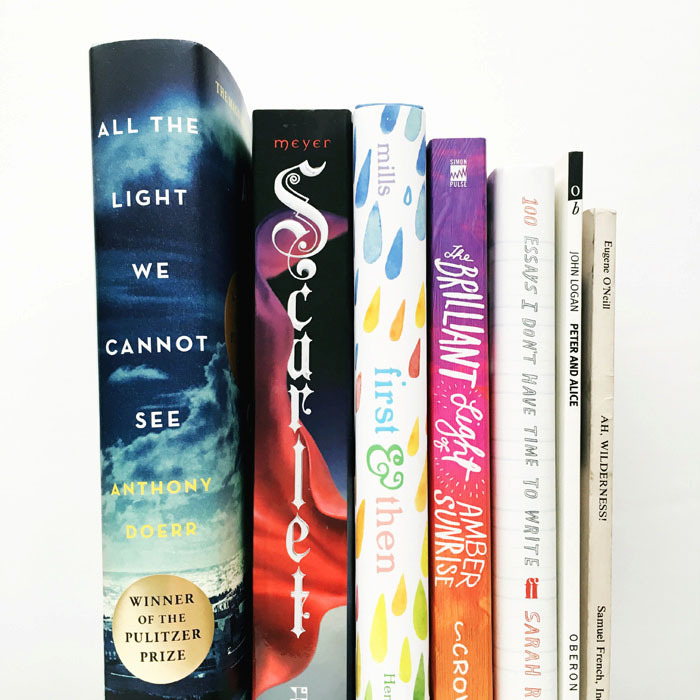 Have you read any of these selections? And any chance you'll join the Readathon?! Wish me luck! This is no joke, y'all. Giving myself permission to take last month off was INCREDIBLE. I felt both relief and re-envisioned for Brave Love Blog at the same time. My first three months of 2016 felt like a marathon, always on the go-go-go, and now the hamster wheel has stopped. This week I got to step off with wobbling knees and catch my breath. It has been beautiful. It would also happen that after I announced a break I'd get all the ideas and more ;) Such is life. You may recall that at the start of 2016, Rachel and I gave ourselves the first three months to plan and that was it. January, February, and March were all my heart could hold and conceivably set goals for, and as of today the first season has come to a close! What a whirlwind! But the decision to take the year in quarters is the best decision I've made in a long time. This next stretch of three months is FAR different from the last, and it makes SO MUCH SENSE that my goals should be reassessed and rearranged as needed. 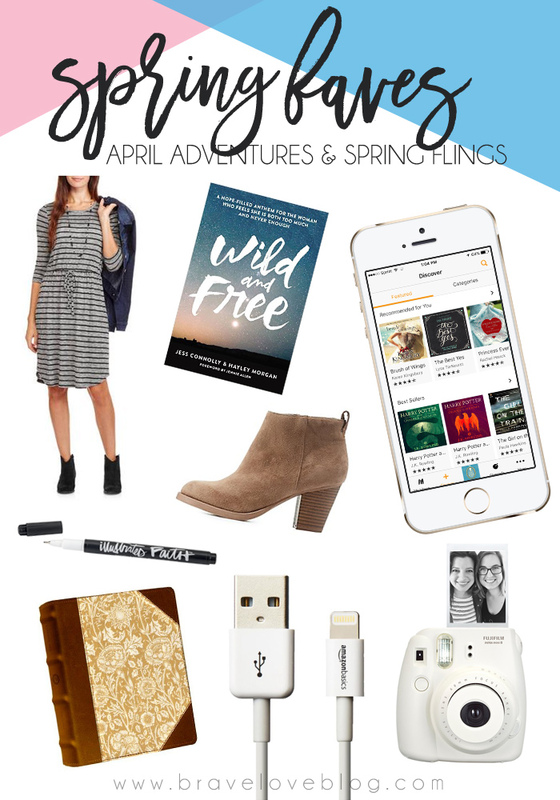 Today I am sharing April's goals, and next week I will break down this quarter's goals. 1. Finish grad school! Guys. This is my last month of classes! Graduation isn't technically until May 6, but I finish class on April 30. WHAT. IN. THE. WORLD?! With that in mind, I'm determined to finish strong. This means taking care of homework ahead of time, investing in my department, and cleaning out my office. I'm so close! 2. See Cinderella in Tulsa (+ more shows if possible). This one will be taken care of tonight. I'm headed to Tulsa to catch the tour of Cinderella with a friend, and I cannot wait! I love, love, love the show so much. It is also one of my goals to see as much theatre as possible each month, so I'm hoping to catch a few more plays elsewhere as well as the National Theatre in London's NTLive broadcasts. Seeing more theatre makes me a better artist, and it totally fires me up. 3. Participate in the 24 Hour Play Festival. Each spring our department holds a 24 Hour Play Festival. Everyone involved meets at midnight (tonight) to get the theme. Last year it was Twilight Zone. Then the writers have until 7am to write their plays. The directors meet at 7:30am to get their play and cast the actors, then the actors show up at 9:00am to start rehearsal. We will rehearse all day then end with performances that night at 8:00pm. It's going to be crazy day, but I'm so excited to do it this year! I signed up to direct. You'll catch glimpses on Instagram all day tomorrow. Wish me luck (or break a leg)! 4. The Contentment Challenge + Study. I've tried and failed at this too many times to count, but here we go again. The Contentment Challenge was started by Nancy Ray, and she recently came out with a devotional to go along with it. My challenge spans April, May, and June, and I'll share the details next week. It starts today! 5. 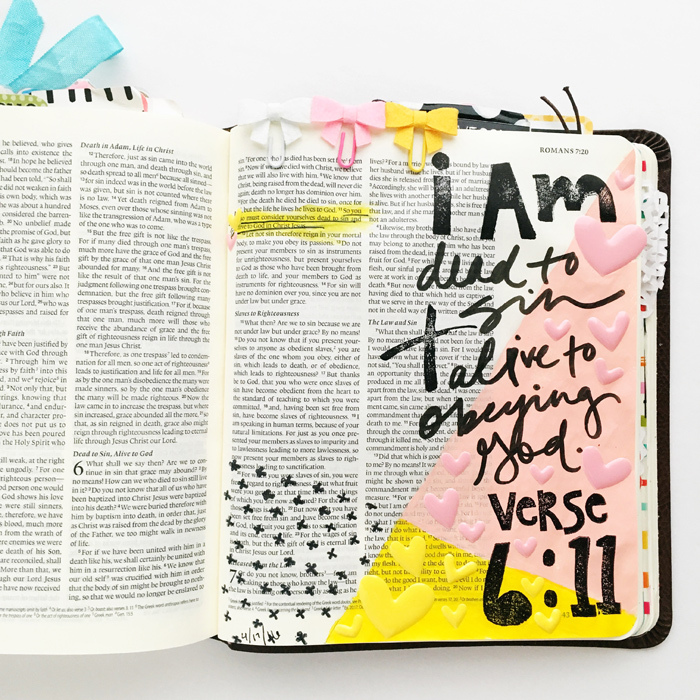 Journal through the April Daily Declarations. On Instagram, I shared about a list of daily declarations that I was given in college. It's a list of Biblical truths partnered with scripture, to the said aloud everyday for 30 days. I plan to illustrate my way through them this month, digging in each morning. You'll see them appear @lovebaileyjean, I'm sure. 7. Disciple my girls well. 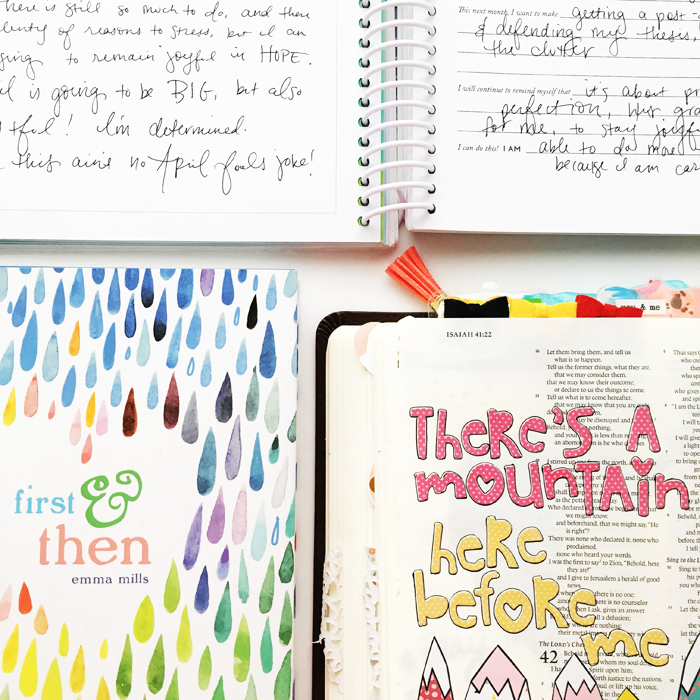 I have the joy and honor of meeting with a handful of gals each week to walk through our goals and to dig into what the Lord has been teaching us. They challenge me and encourage me every time! I really want to invest well in them, in prayer and in our meeting times, this last month I have at school. 8. Contribute to my teams. I am on the creative teams for Illustrated Faith, Laura Rahel Designs, and I am going to be contributing to the PowerSheets community site blog soon, so I want to be sure to give time and attention to each one of these commitments. Blogging about them here will be part of the fun, too. You'll see! There you have it friends. April, you're going to be a good one, I can just tell! There are plenty of things to get one, but after a month off I am approaching it with such a healthier mindset and heart. Thanks for hanging in there with all the ups and downs lately. Y'all are the best! What do you want to make happen this April?